Mirza Fakhrul Islam Alamgir says election was a ‘fraud’ and marred by irregularities but electoral body rejects charges. Police fire with live ammunition at rally in Khartoum, as protesters continue to call for President Bashir to quit. Package will include six bipartisan bills to fund the departments closed by government shutdown. Four persons lost their lives in a ghastly motor accident in Ore in Odigbo Local Government Area of Ondo State on Monday. The accident occured at the popular ‘Oluwa bridge’ on the Lagos-Benin expressway, and involved a commercial Toyota Hiace bus. The victims were burnt to death. SaharaReporters gathered that the victims were passengers on their way to Lagos for the New Year festivities. An eyewitness, who joined the rescue team, said the driver of the bus lost control of the wheels, while the tyre burst into flames. “Before we knew what was happening, the tyre of the vehicle was already in flames, but only few persons could escape from the scene,” the eyewitness said. 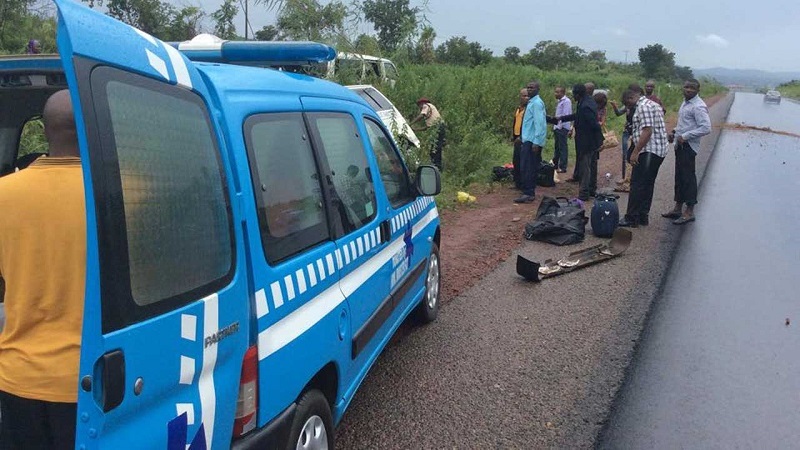 Segun Ogungbemide, the Ondo State Head of Operations of Federal Road Safety Corps (FRSC), confirmed the incident in a phone interview with journalists in Akure. Ogungbemide said the driver of the vehicle drove carelessly, and the tyre of his bus burst into flames. According to him, four persons lost their lives, while the other four got injured. “The accident occurred around the popular Omotosho area in the Ore axis of Ondo State and it involved a Toyota Haice Bus. It was a lone accident, as the tyre of the vehicle transiting the passengers burst into flames,” he said. He, however, warned commuters to drive carefully during the festive period to aviod crashes. The Nigerian music scene is an active content creating industry. Every passing minute, new songs are released by young artistes seeking to make a break into the industry or by popular artistes whose fans hunger for new music. From January to December, music lovers have been treated to the good, bad and downright ugly of music. 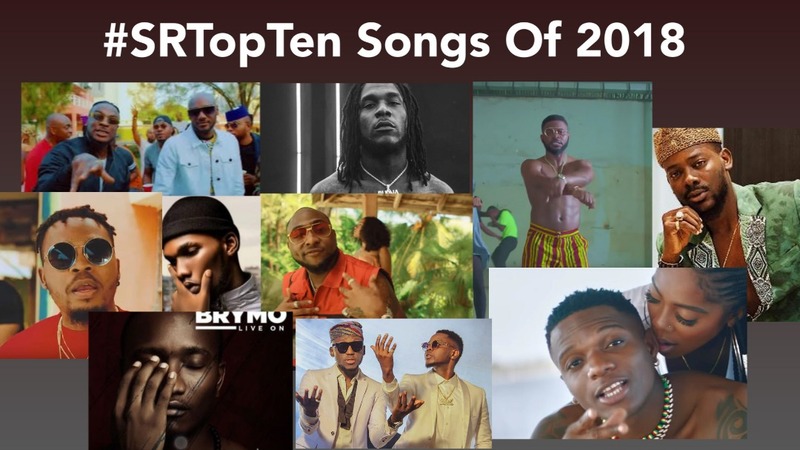 Listed are the top 10 songs of the year. With the fire he brought to the music scene when he first emerged, Olamide doesn’t seem to have impressed much beyond the expected. Like the intro to ‘Motigbana’, the year began on a slow motion for Olamide. However, as the song rose in tempo, although he had released a few singles in the meantime, Olamide did not get the expected buzz until the release of ‘Motigbana’. If the YBNL don expects to get more credit, he’ll need to up his game. 9: Victor AD — Wetin We Gain? Not long after it hit the airwaves in July, this track went on to take its place as the latest ‘hustlers’ anthem’. Victor Adere, a.k.a. Victor AD, a Delta State indigene, describes his style as Afropop. With more than five million views for a relatively new voice, there’s more in Victor AD’s music future. With Adekunle Gold’s ‘Ire’, the Nigerian music scene experienced a different kind of creativity. Although much of the video is done in reverse, with ‘Ire’, Adekunle Gold takes his fans one step further on the soulful train of his music ride. Not many artistes can do a naked feature. There are even fewer artistes daring enough to shoot a video in an uncommon location as on the coarse bank overlooked by an ocean. Brymo belongs to the select ‘fewer’ and he definitely got tongues wagging for this one. In his signature preacher style, Brymo uses ‘Heya’ to speak to tendencies of human nature. ‘Baba’ leads with a calm intro that drizzles into nice beats accompanied by DJ Spinall’s tunes, combined with Kizz Daniel’s unique expertise on the voice. ‘Baba’ gave Nigerian music lovers a breath of the fresh side of music. This is a seemingly unusual combination that turns out to be worth the effort. As the title of the song suggests, Wizkid definitely gave music lovers ‘fever’ with his feature of Tiwa Savage as a video vixen. The duo engaged in various explicit scenes, which got the social media talking for a little longer than a while, especially after various speculations on if they were romantically involved. Featuring his girlfriend, Chioma, it would be an overstatement to say the song was strictly dedicated to their relationship. The song went on to get its personal hash tag, #Assurance and trended for much longer than even the lovebirds would have anticipated. At brief listen, it would not be expected that Burna Boy’s ‘Ye’ would make any major impact. However, music lovers thought differently, and the song went on to become an anthem of sorts in various quarters. No one likes disappointment and that was what legendary singer, 2Baba seemed to have been feeling when recorded this hit track, alongside Peruzzi. ‘Amaka’ tells the story of how a woman named ‘Amaka’ disappointed her man after promising to pay him a visit. Amaka not only earned its own special social media standing, it has more or less become the synonym for Nigerians on any disappointing person or situation. When Falz released ‘This is Nigeria’, not even he could have predicted the critique it would receive, such that at a time, there were talks of law suits and religious backlash. On the Youtube site featuring the song, there are more than 26,000 comments on the song, not counting other versions of social media, as well as traditional media and outside the virtual world. Falz takes the song of the year for the unique style it brings to addressing societal ills. Politics, religion, education, security, economy, entertainment, energy, among others all get a mention in the video, which lasts less than four minutes. And did we mention the shade on President Muhammadu Buhari for that ‘Lazy Nigerian Youth’ comment. Indeed, Falz brings expertise, talent, and sheer creativity to bear on this masterpiece. Don’t agree with our list? Feel free to share your #SRTopTen songs for 2018. The Nigerian Prison Service has barred friends and family members from visiting Deji Adeyanju in Kano prison. The order came after a meeting between the Minister of Interior, Abdulrahman Dambazau and officials of the Nigerian Prison Service. Deji was rearrested and charged for culpable homicide by the Nigerian Police, over a case said to have been decided upon by the Kano State High Court in 2009. On Friday, December 21, 2018, he was remanded in prison custody after a Kano State magistrate court declined jurisdiction to hear the case. 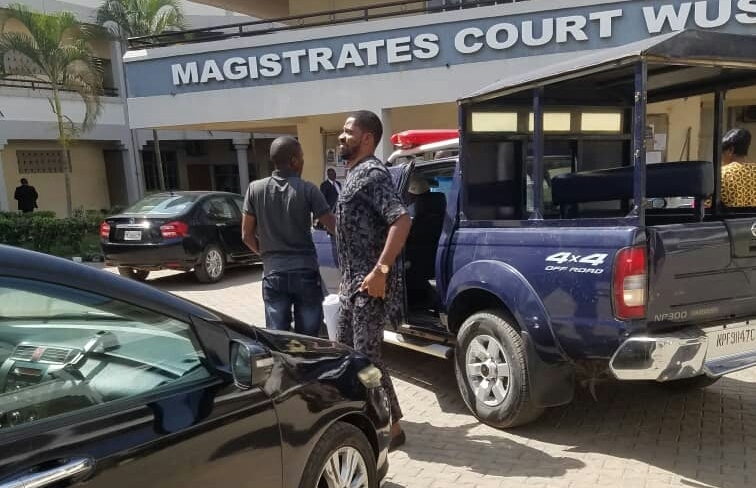 Meanwhile, on the same day, a high court in Abuja had ordered Adeyanju’s immediate release from detention, a directive that was ignored by the Police. A source close to the prison service revealed that the order was handed down after the Minister got a report that some members of the Islamic Movement in Nigeria (IMN), popularly known as Shi’ites, visited the activist in Kano prison. It was gathered that the some of the clerics from the sect paid a solidarity visit to him on Christmas Day, a move some people in government are said to not be comfortable with. With this new directive by the prison officials, family members and friends will not have access to celebrate the beginning of 2019 with him. A Nigerian airline says it could pull its business out of the United Kingdom after one of its pilots was arrested by immigration officials on suspicion of being a stowaway and threatened with deportation. Max Air, which is based in Nigeria, condemned the move by border staff at Bournemouth International Airport, stating that it is an example of the Home Office’s “hostile environment policy”. The company says it is now losing £180,000 a day, because it cannot find another pilot to fly the plane after Captain Adam Dilli Ibrahim, aged 36, returned home voluntarily on another flight. Captain Ibrahim was detained for questioning, fingerprinted and photographed, before being told he would be forcibly removed — even though pilots do not legally require visa to enter the UK for seven days or less. Frank Unokesan, whose company is responsible for maintaining Max Air planes, said there had been a “long history” of problems with immigration officials. “Whenever they see a green (Nigerian) passport, they doubt the captain and believe he is a stowaway; that’s their mindset. The captain has done nothing wrong. I feel terrible, I feel ashamed. It is so much bureaucracy. That’s the way I see it. I would have thought with Brexit the UK would try and make more friends, but now they are kicking us in the teeth. I don’t know what kind of government they are running,” he said. Max Air may now avoids the UK in future and takes its business to Germany, which has allowed pilots stay for up to three months without any problems. He continued: “Nigeria is a former colony of the UK and we are trying to do business with Britain, but now they are turning back our business and deporting the pilot. The dispute with the Home Office centres on the interpretation of the Immigration Act 1971, which states that a pilot or crew member does not require leave to enter the UK if they depart within seven days. 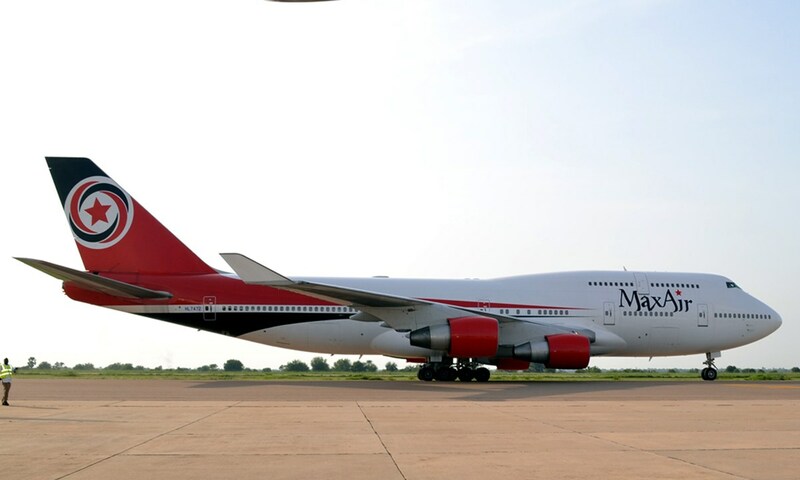 Captain Ibrahim, who has previously flown in and out of the UK without issues, told immigration officials on arrival on December 10 that the maintenance work on the aircraft was scheduled to last between seven and 10 days. “Instead of respecting the position of the captain, they took his passport and they said after seven days we will talk about that. They suspected the co-pilot is the real pilot because he has a visa in his passport and the captain is a stowaway posing as a captain. So they arrested him for entering into the UK without a visa,” he stated. After taking legal advice, the pilot voluntarily flew out of the UK on December 16. The maintenance work finished on 20 December, but Max Air is unable to find a replacement captain at short notice. The aircraft remains in the UK and the co-pilot is still staying at a local hotel. Noting that the maintenance work alone was bringing in $100,000 (£80,000) of business to the UK, Unokesan stated that the company is “losing $9,500 (£7,500) an hour”. Max Air noted that on previous occasions it had either brought in more engineers to finish the work in time or applied for an extension of leave for the pilot. Immigration officials argue that a visa is mandatory for nationals staying longer than seven days and that it is the responsibility of air crew to ensure they have the correct documentation on arrival. The opposition says the government ordered the move to avoid broadcasting its “victory”. Lai Mohammed, Minister of Information and Culture, has faulted the claim of Senate President Bukola Saraki on donating N10million to victims of the robbery in Offa, Kwara State. Saraki was said to have claimed in an interview on radio that he donated N10million to victims of the Offa robbery, when he visited the community to commiserate with the people. 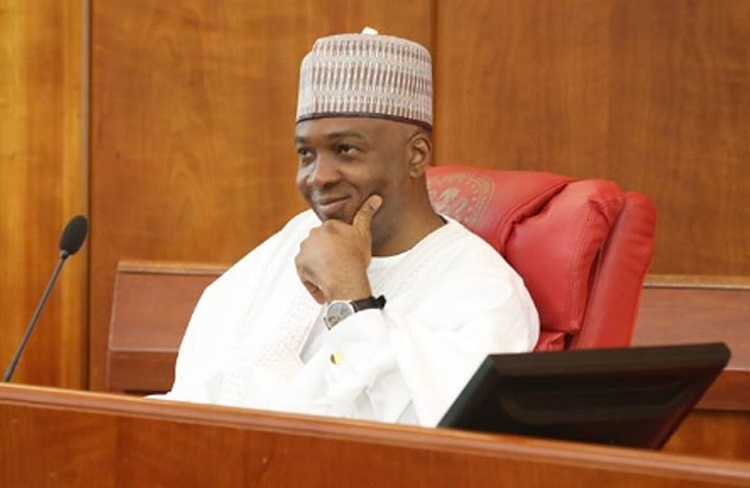 However, according to NAN, Mohammed debunked Saraki’s claim, stating that the Senate President lied, and warned him not to play politics with the incident. “The claim by Dr. Saraki that he donated N10 million to care for the victims of the Offa robbery is patently false. He did not! The 10 million he referred to was donated when the Offa market got burnt, and it was made in Ilorin, not Offa. When Dr Saraki visited Offa to commiserate with the community in the aftermath of the robbery, he did not donate a dime! I challenge him to prove me wrong,” the Minister of Information said. A statement issued in Lagos on Monday by Segun Adeyemi, Mohammed’s media aide, claimed that in the wake of his (Mohammed) first warning, the apparently embarrassing radio interview was hurriedly edited to remove all references to the Offa robbery and then re-aired across Kwara State. The statement continued: “Instead of stopping at that, which in itself constitutes an acceptance of wrongdoing, Dr. Saraki went ahead to hurl insults at me, even when I have been largely restrained in issuing my earlier warning. Had I not been restrained, I would have gone ahead to divulge what actually transpired. ”But with politics in the air, the truth becomes the first casualty. Realising that he goofed, Dr. Bukola apparently caused the radio interview in question to be edited to remove the donation reference, and then re-aired. Is it not an irony that the people who engaged in this egregious act of dishonesty are the same ones calling others names?